ADMISSION TO FIRST YEAR DEGREE COURSES IN HOMEOPATHY/AYURVEDA/PHARMACY AND DUAL DEGREE IN MASTERS DEGREE IN APPLIED MANAGEMENT (MAM) MASTERS DEGREE IN COMPUTER APPLICATION (MCA) AND LATERAL ADMISSION TO SECOND YEAR (THIRD SEMESTER) ENGINEERING/TECHNOLOGY/PHARMACY/ARCHITECTURE/MCA AND FIRST YEAR MASTERS DEGREE COURSES IN COMPUTER APPLICATION (MCA), BUSINESS ADMINISTRATION (MBA), PGDM, PGCM, PGDM (EXECUTIVE), M TECH./ M PHARM/ M ARCH. 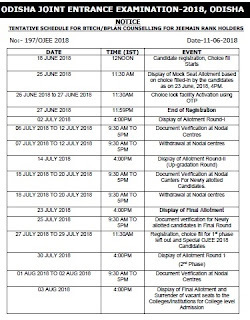 OJEE Result date: June 2018 at http://ojee.nic.in/ojeecouns/Candidate/RankCard.aspx. Latest Updates : OJEE has released the Answer key of the Entrance Exam held on 13/05/2018. candidates can now Download their respective Answer Sheets through the Link given below,…..
All the candidates concerned are requested to refer to the answer keys and can give their views/complain about the correctness of any of the answers by 21st May 2018. OJEE 2018 Examination Centre Information of candidates are now available On Android App. 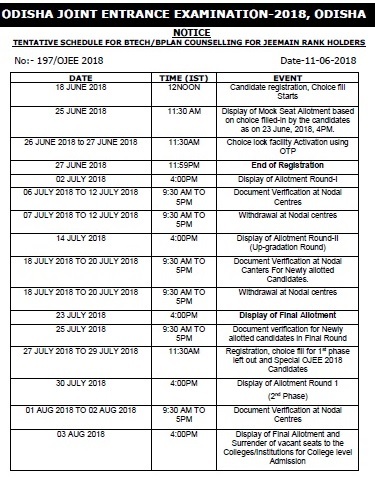 Click on the link "Download Admit Card - OJEE 2018". Select appropriate form from the drop down menu. Login using Application Number and Password. 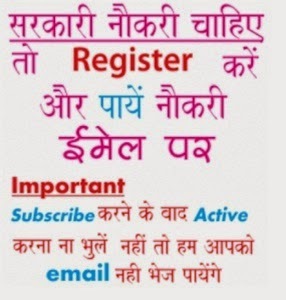 Click on "Download Admit Card".